We've got your solution to curved piecing! Everyone loves the traditional apple core quilt shape, but the curved edges make rotary or hand cutting a chore. With the GO! 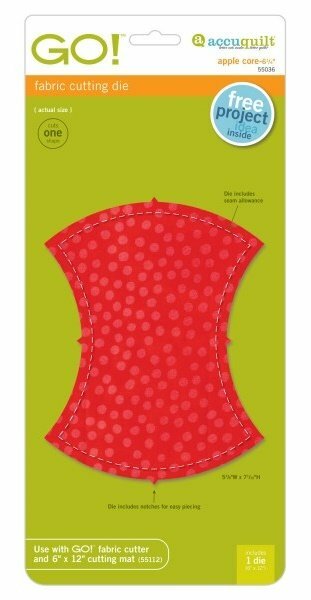 Apple Core die you can quickly cut and sew together these large 6 1/4" finished shapes to create colorful combinations or add binding for a stunning scalloped border.